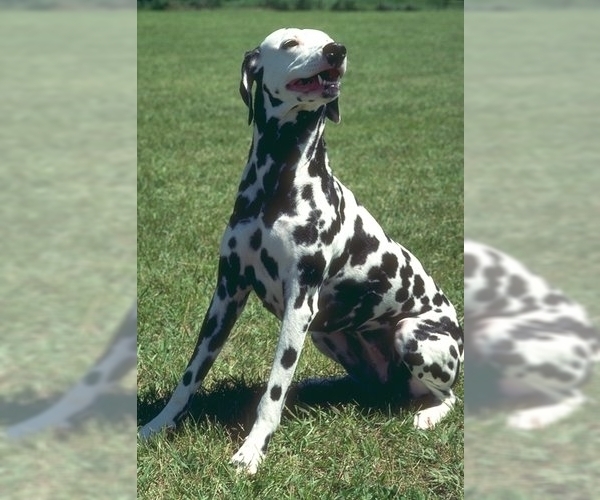 Overview: The Dalmatian requires a lot of exercise, so is best suited for an active owner. Loyal and well-mannered, he enjoys accompanying his owner on a jog or a walk about town. 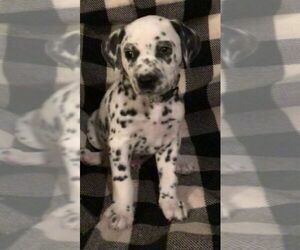 Colors: Black or liver spots on white background; spots should be round, well defined, and preferably separated. 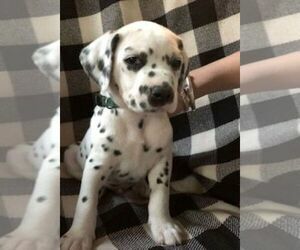 Dalmatians are born white and develop spots later. Coat: Short, dense, fine and close fitting, its sleek and glossy in appearance. 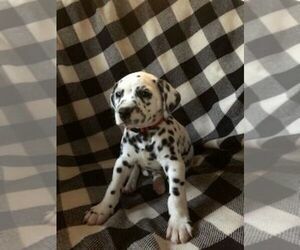 Character: Dalmatians are very sociable and friendly. They're full of energy and very affectionate with their family. Temperament: This breed is a good playmate for children, but they may be a little too gregarious and active for smaller children. They can be watchful around strangers, yet get along well with other dogs or household pets. Care: The Dalmatian should have a rubber glove used for removing dead hair during the times of shedding. Training: This breed requires a consistent approach; they respond positively to praise, so be sure to offer it generously. 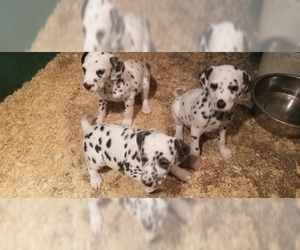 Activity: Dalmatians can adapt themselves to the activity level of your family, though they enjoy the opportunity to run free outside when possible. Health Issue: This breed is prone to deafness, affecting some 10-12%. Urinary stones and skin allergies are sometimes inherited. 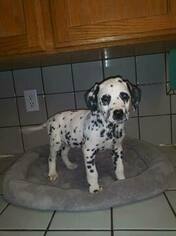 Super cute, energetic Dalmatian boy - 23 weeks. AKC registered. 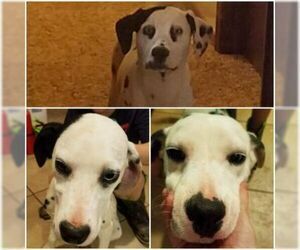 Posted Breed: Dalmatian / Bulldog.